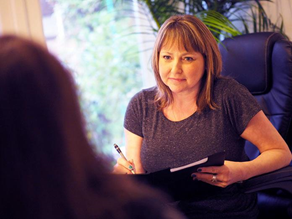 Sharon has over 25 years experience of working with people who may need some support to move on with their lives. Sharon is a Behaviour Specialist and Therapist with over 25 years’ experience working with mental and physical health difficulties. She has a successful private practise in Gloucestershire and is known for giving talks and workshops which share the vast range of techniques that she uses including meditation, laughter yoga, EFT and other stress reduction strategies. Sharon teaches the Expert Patients Programme within the NHS which is a self-management course for people with long-term health conditions. She is also involved in an outreach project working with the population within HM Prison Services. Sharon is married with 2 young girls. She is a volunteer for a national charity’s telephone support line and runs a local support group. Sharon was diagnosed with a health condition so is an ideal advocate to coach others on their return journey to wellbeing.